10/2010 Piecing Partners Whisper Challenge Group 6. Quilter1-Milkweed pod in landscape. Quilter2-Milkweed pod in landscape. Quilter3-Focussed in; 3D dandelions. 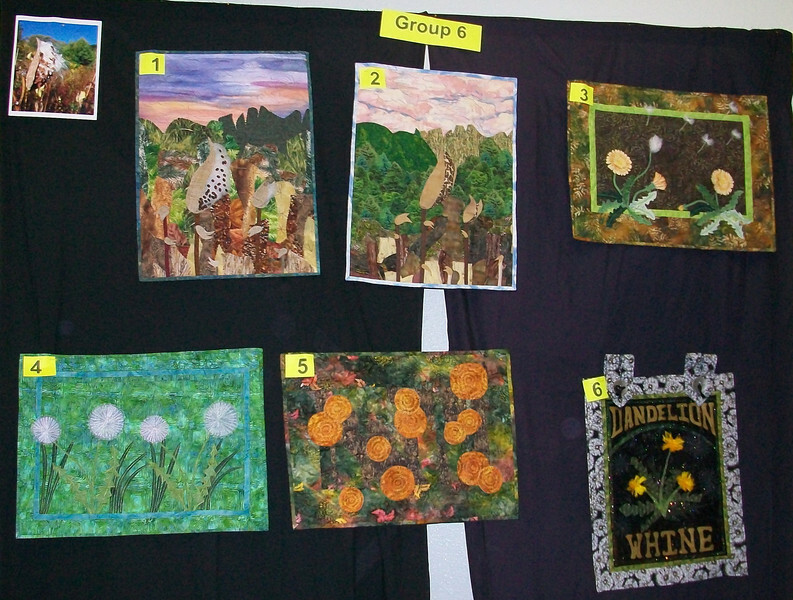 Quilter4-Dandelions. Quilter5-Dandelions in a field. Quilter6-Dandelion after whining and wining.